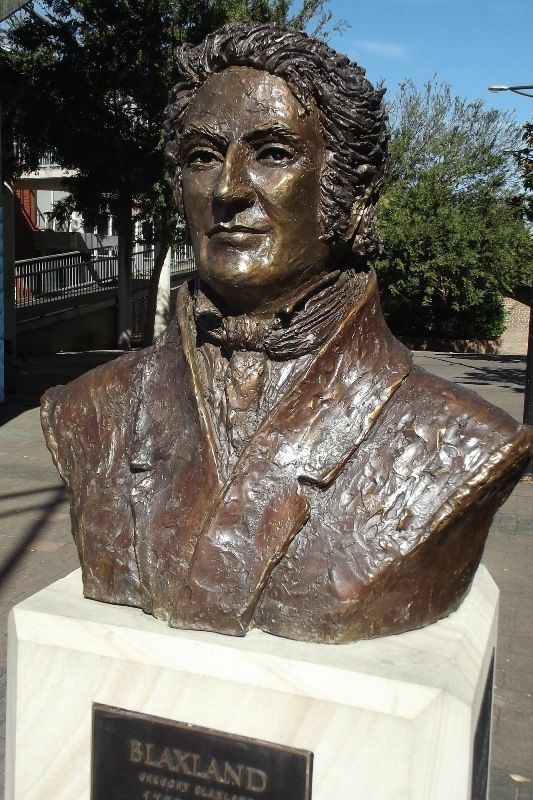 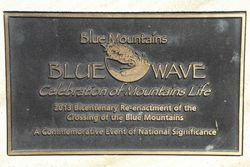 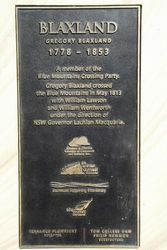 A bust of Gregory Blaxland commemorates the bicentenary of the crossing of the Blue Mountains in 1813. 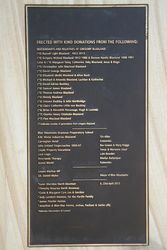 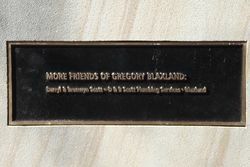 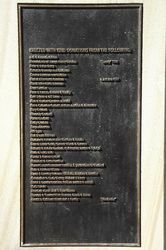 The bust contains series of plaques listing the names of donors responsible for the erection of the memorial, including a list of Blaxland's descendants and relatives. 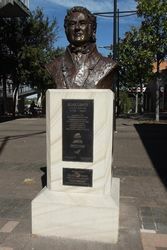 Blaxland & District Chamber of Commerce and Industry Inc.